How do ASSA Smartair Access Control Systems work? 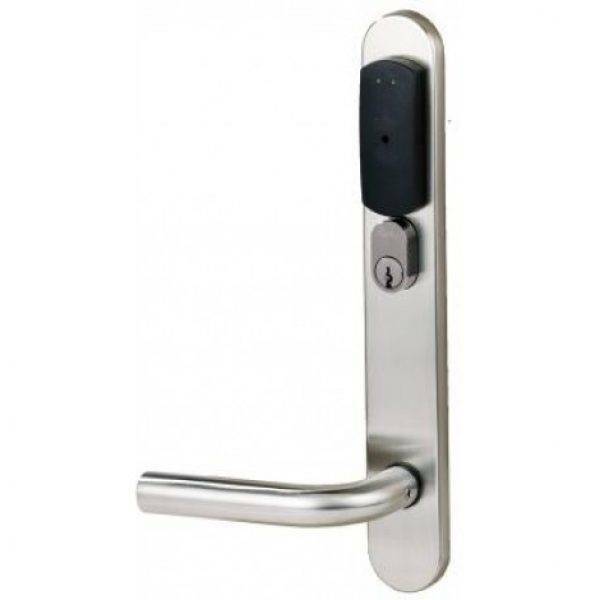 Smartair access control systems are scaleable according to your budget and in their base format comprise of stand alone lock sets with built in proximity readers which can be interrogated with a hand held programmer. In its more advanced format readers can be linked wirelessly to a host PC, running the Smartair access control system software. User data and permissions can be transmitted from and to reader or pc by user card via updater readers or by wireless transmission hubs. Please view the product information pdf file on this page for further details. Proximity reader system for use where access to particular areas must be restricted. For example, doors between public and private areas in universities, colleges, and organisations such as banks and shops plant rooms and laboratories. When used with a mechanical deadlock also provides out-of-hours physical security. We’re ASSA Smartair Access Control Systems experts! For more information our access control systems, see our products below or contact one of our experts on 0151 495 5740. Our team is on hand to give you any help or guidance you may need. Alternatively, click here to request a call back.